Carnitas is a delicious Mexican dish where pork is simmered in lard until tender and juicy. Thanks to your pressure cooker, this slow-simmered dish is now done in less than half the time. 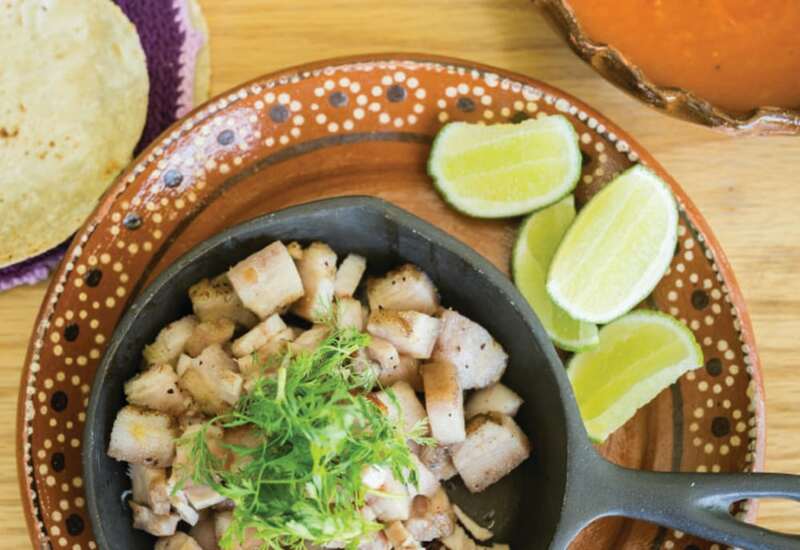 The most famous carnitas are from the state of Michoacán and are made with a unique blend of spices and juice, which lends terrific flavor to this fantastic dish. Carnitas are delicious in tacos, burritos, tamales, and tortas. You can serve carnitas with Mexican rice, charro beans, or tacos accompanied by fresh cilantro, lime, and spicy Mexican sauces. Per Serving: 433 calories; 30g fat; 12.1g carbohydrates; 29g protein; 115mg cholesterol; 362mg sodium.